Protect your blade from getting dinged or chipped. This flexible sheath will hold tight to most knives on the market today. Opens to approx. 1" diameter and 5 1/2" long. 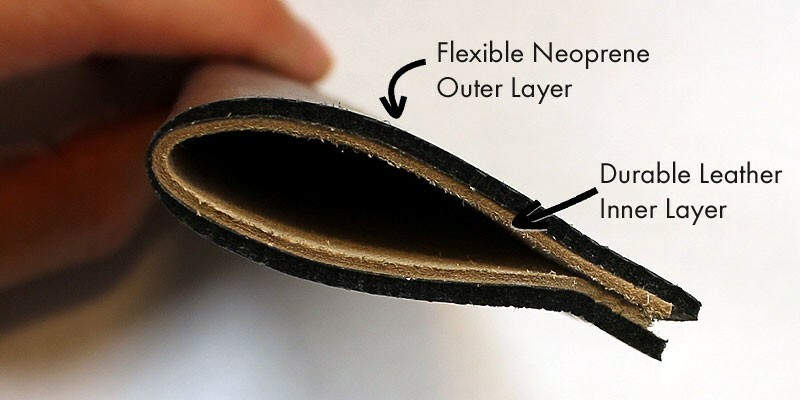 A water repellent neoprene covers a durable leather inner layer. Please note: these do not fit the Spoon Carvers, TwcaCam, or Sloyd Knives. Combine this 4 inch honing strop with your favorite sharpening compound to keep your wood carving knives razor sharp.